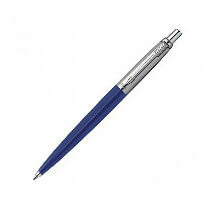 Iconic Parker ballpen with classic style and functionality. We require this information to communicate with you, with regards to internal record keeping. We may use the information to improve our products and services. The data collected relates to each specific visit to the website. The information gathered includes the duration of the visit, the path taken between pages, the type of computer that is being used and the approximate location of the visitor. Google Analytics does not collect any personal information such as a user’s name or email address.